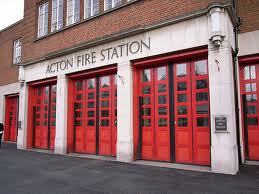 The London branch of the Fire Brigades Union say a number of fire stations - Acton included - could be forced to close in a bid to save £65 million over the next two years. The list of threated stations was at the centre of a political row this morning at Mayor's Question Time when Labour assembly member Andrew Dismore revealed the existence of the document. The leaked list of 17 stations was later released on twitter by LBC radio presenter James O'Brien: Acton, Belsize, Bow, Clapham, Clerkenwell, Downham, Islington, Kensington, Kingsland, Knightsbridge, New Cross, Peckham, Silvertown, Southwark, Westminster, Whitechapel and Woolwich. Paul Embery, the FBU's regional secretary for London said: ''These proposals present the biggest threat to the London Fire Brigade since the days of the Luftwaffe and would lead to the decimation of fire cover in London. Ealing Central and Acton Conservative MP, Angie Bray, said:' "I am not aware that the Mayor of London has announced any plans to close any London fire stations. However, were he to do so, there would still need to be a full Operational Review before any decisions could be taken. In the event of such a review taking place, it would be of paramount importance to ensure that there would be no loss of operational coverage." It's thought the London Fire and Emergency Planning Authority will discuss the plans next month.